To those who take the Academy Awards seriously (rather than accepting them simply as an annual, bloated, sycophantic PR ceremony) there have been a number of travesties which have occurred throughout the years when it comes to handing out the golden Oscars. Sometimes critical re-appraisal has shown the Academy has got it wrong: I find it hard to believe that anybody who saw Forrest Gump thought it was as good as any other film released that year, let alone better. Many times, however, the common consensus can be equally wrong - any critic who would like to make the case that Raging Bull is a greater motion picture than the splendorous Ordinary People, for example, really needs to re-evaluate their approach to cinema. Alas, one thing that can readily be widely agreed upon is that the omission (even of a nomination) for the visceral and emotionally devastating documentary Hoop Dreams represented something of a nadir for the Academy Awards; the lack of recognition for this landmark movie showed that the Oscars' criteria for winning has less to do with the artistic achievements and more to do with politics, glad handing and box ticking. The power of Hoop Dreams, a documentary about the aspirations of young basketball players hoping for a sporting future away from a life of drugs and destitution, came from the widespread access that was given to its subjects over a number of years. Over time, the film showed children growing into adults and tension was built around their futures; failure to achieve a sporting scholarship could literally condemn each of the subjects to a life of poverty. It's a stunning feature which comes as close as perhaps any other film in achieving pure cinema verite. Whilst anybody can perform in front of a camera for twenty minutes or so, putting on a performance of the character they would like to be, its much harder to fake sincerity over a number of years, when existence shaping or emotionally shattering occurrences un-spool and real life challenges arrive. This approach, too, is at the heart of The Sound of Old Rooms - a documentary which also follows its subject over an elongated period of time. Sandeep Ray's 72 minute film is a concentration of over two decades of filming of Sarthak Roychowdhury, a struggling Kolkata poet. The feature begins with his 2011 birthday celebrations, a meeting of restless souls, before quickly transporting us back to his years as a student showcasing the twenty years or so which bring us up to the present day. 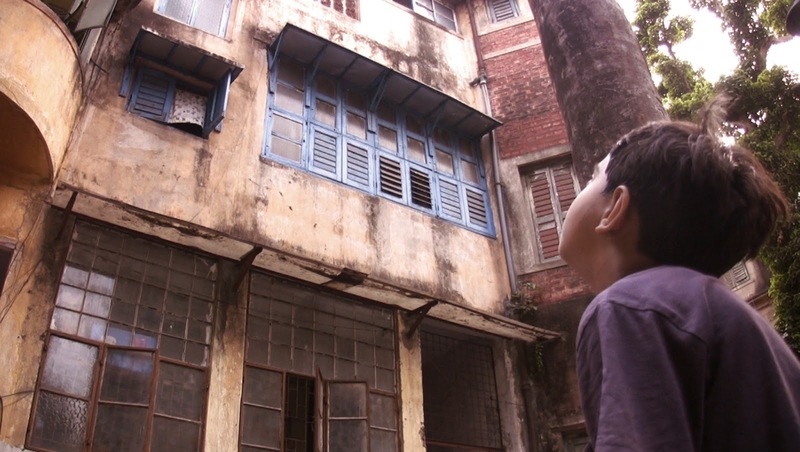 It is through these years of footage that we see how Roychowdhury becomes the man he is today whilst also framing the changes throughout Indian society during the same period; a dual narrative approach perhaps most well appropriated in Lee Chang-dong's reverse chronology masterpiece Peppermint Candy. Whilst its fascinating to view any individual caught with intimate candour at various stages of their life, there is one question which rings louder than all others during the film's running time. It's never made entirely clear who is filming Sarthak or why. When the film's director Sandeep Ray first starts lensing Roychowdhury, his subject is an unremarkable teenager and it is never explained why he became the star of a multi-year documentary, something I found puzzling above all else. (Although, on the back of this, the growing ease to film ones self and features such as Tarnation, it would not be to much of a stretch to predict a growing movement in the multi-year, narcissitic, unremarkable subject film). Aside from this, there is much to enjoy about The Sound of old Rooms, an old-fashioned lament which unfolds at its own pace. Over the course of the feature we get a unique perspective of a young man trying to find his place in the world; like many students the world over he first discovers politics, art and love, and idealism blooms as Sarthak ages. Believing there to be a gap in the market for a great writer, Roychowdury proclaims there hasn't been a great book written in fifty years and quickly, and condescendingly bats down his wife's offering of the works of Derrida as a counterpoint. Despite being a Keynesian/Marxist economics tutor at this point in his life, Sarthak decides he'd rather like to become a poet and attempts to pursue this whilst struggling in both his new career path and holding together the life he had previously made. Like another Lee Chang-dong classic Shi (Poetry) the movie looks at why poetry matters in a world in which the art-form is dying and many more struggles, personal and political, can make any such flight of fancy extravagances seem obsolete.Whilst hardly as pressing or intense as the aforementioned Hoop Dreams, its fascinating to catch slice-of-life images of a very Indian man negotiating his life against a politically changing backdrop, his growing ideals and the responsibilities that come with the growing responsibilities of an expanding family. Hi Kieron, nice review and interesting thoughts on Oscar nominations. I think the answer to your question is that Sandeep Ray and Sarthak Roychowdoury are cousins. I'm guessing that the two men have more or less grown up together. Thanks Roy - that's cleared up a BIG issue in my mind! I advise ignoring the Oscars. They miss out on so many good films. The Best Foreign Film category does contain interesting stuff (I always check out the full list of country submissions), but, for example, the Best Animated Film is a travesty. Always the same kind of stuff (animation = kids film) and just about never looking across US borders. I completely agree - there's definitely very narrow frameworks going into choosing what films are selected!